Why You Should and Can Start an Orchard Today! Want to produce some of your own fruit? Landscaping projects coming up? Check out this video to see how we have been able to get the absolute best prices on fruit and other trees for our small homestead. One of the most satisfying things that we do around our little piece of the world is planting trees, gardens, and just about anything that grows. But, as most of you already know, this can get to be an expensive habit! Trees take time to grow and so do garden vegetables so many times it is tempting to run out and get bigger trees and plants that already have a growing head start. While there is nothing wrong with this approach it can take a bit more of an initial investment which means it take you longer to recoup your money from your home grown food. So what is the answer? 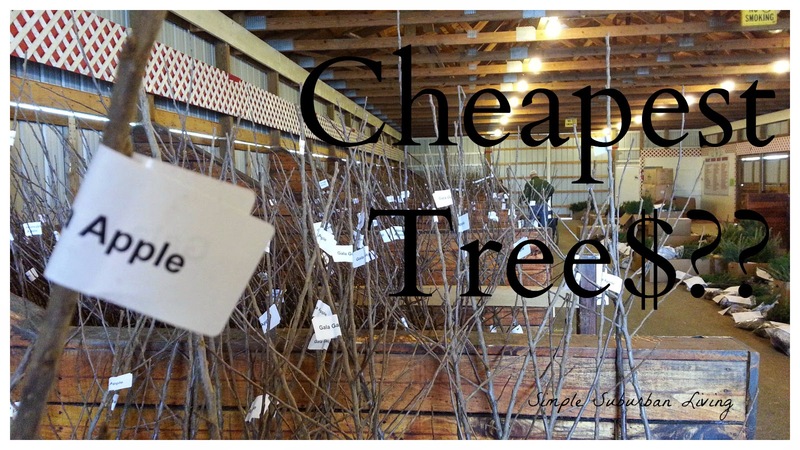 When we first moved into this home we discovered that spring and fall time sales are one of the best places to get discounted trees. Normally at the far end of the growing season and at the very early beginning. Our local big box stores generally start 20% off sales in early April and late October. If you keep checking and time it just right you can get what they have left for 50% or more off. While this leaves less of a selection if you just get a couple each year you can grow your orchards bit by bit over time and end up with all of the varieties that you need. One of the more recent discoveries we made for cheap trees was our local conservation offices. Here in Michigan each county has a local conservation district office which is responsible for conservation activities in a local area. One of the programs that they have is an outreach to encourage planting trees which also serves as a fund raiser for the program. Each year in January-March you can go online and fill out a form to purchase all kinds of different trees, bushes, flowers, and other types of horticultural surprises. Each district will have different prices and different products so check around your local communities for what you need and the best price. The fruit trees we purchased were about 4'-5' tall and cost $19 each. We also purchased 5 Norway spruce for $5 each. These were about 18" tall and all trees came bare root and ready to plant. Comparable to regular prices at the big box stores this was about 50% off. Another fun and free way we have tried to get our orchards started was simply by planting seeds. We have saved some apple seed from locally grown apples and planted them indoors during Winter. By the time spring comes around you have a 12" or larger tree ready to plant. While this does take longer to get your orchard started this way it doesn't cost you a thing. Think back 5 years, what if you started the? You would already be harvesting fruit each year and the longer they are in your backyard the better it gets, year over year! Growing your own food, especially fruiting trees, is one of the most satisfying things we have found. We love to plant and tend to the trees together as a family and love the delicious fruit we get each year. I hope this has given you some ideas or inspiration to get out and start planting some trees! The best time to plant a tree might have been last year but the next best time is right now!